When you're working in the kitchen, you're bound to have ideas about how something can be done differently or better. If you don’t have somewhere to write your ideas down, then you’ll likely just forget them by the time you’re done. Take note of your ideas and then you can refer to them later to test them out. Keep a dedicated section of the notebook for ideas so that they aren’t scattered all around. Keep recipes and ratios close by. When you cook a lot, it can become difficult to memorize every single recipe you do. Create a shorthand and have a section of your kitchen notebook dedicated to recipes and basic cooking ratios. Break it down into sections, like pastries and sauces to help keep track of them all. You can also have a page or two for quick reference. Keeping information like cooking temperatures and unit conversions can be helpful and save you a trip to look it up. Use your kitchen notes to keep track of the tasks at hand. You can have a master sheet for the whole week and then break it down into individual days and sections. If you’re in charge of other people, figure out what you can get them to do as well. It’s important to keep everyone busy in the back of the house, or you're losing money. This is also one of the most important steps in mental mise en place, the key to efficiency in the kitchen. Knowing what needs to be done, and having it in an organized manner that makes sense, will only help you get faster in the kitchen. 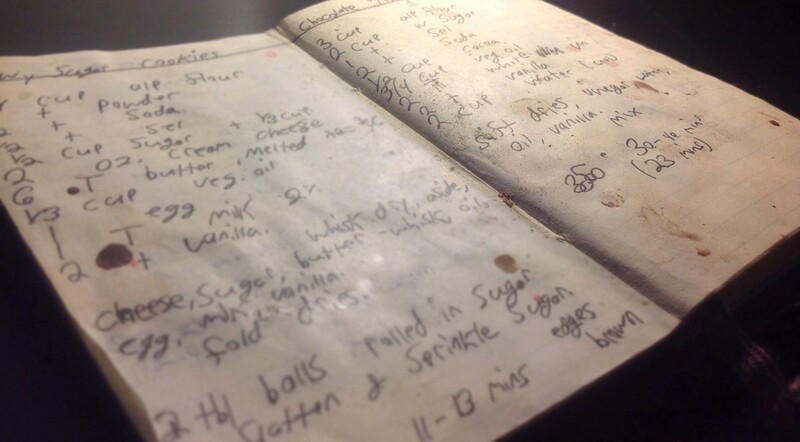 Keeping a notebook can be a huge help in the kitchen. From just keeping track of a day’s tasks to keeping a written record of your ideas. A notebook is a simple, but effective tool, and it doesn’t need to take up a lot of space. You could even just use your phone to keep track of your notes, with photos of the dishes you’ve made too. Personally, I prefer to keep a physical notebook. It doesn’t rely on an internet connection or batteries. Just a pen and paper.